Security is more important today than it has ever been in human history. It seems every week there are several new headlines regarding a firm that was razed to ground in light of a successful attack by hackers. Though these headlines merit plenty of attention, most people don’t realize that hackers target the common Internet user far more often than they do gigantic corporations. Whether you knew it or not, chances are a nefarious hacker somewhere on the Internet has had their eyes on your data at some point in your life. Don’t believe me? Then believe Edward Snowden, who revealed how the NSA had been harvesting unbelievably massive stores of data from domestic US firms such as Google, Yahoo!, Microsoft, and others. That’s right – some of your data has likely already wound up somewhere on a storage server deep within the bowels of Ft. Meade due to their PRISM program. Countless attacks happen to regular people every single day, and the saddest part is that they could have been easily avoided. Understanding how to protect yourself from other hackers will make you a better hacker, because it will help you identify weak points in security. Let’s take a closer look at how you can better protect yourself from other hackers. Despite the warnings we’ve heard time and time again, you need to make sure that your passwords are 100% secure. It’s always best to store them in encrypted format, because they could easily be captured by a hacker if they are stored in plain text. Fortunately, software like KeePass will protect your passwords with incredibly strong encryption that is impossible to break. In addition, it will generate random passwords that are extremely complex, which brings me to my next point. You can’t afford to use weak passwords anymore. Instead of using your birthdate, address, or the name of your dog as your password, it’s time to get more creative. Try to make passwords a minimum of 8 characters long (though they really should be longer), and you must make sure they contain lowercase letters, uppercase letters, numbers, and special symbols. Otherwise, chances are much higher that your password can be hacked with a dictionary based attack. While strong passwords can eventually be hacked with a brute force attack, they take much, much longer. I can already hear all the Bit Torrent users groaning, but the fact is that P2P networks are incredibly unsecure. Even with a VPN tunnel, you still aren’t 100% safe. 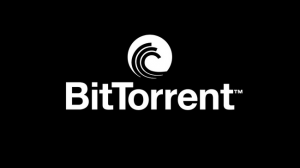 Without a VPN tunnel, other Bit Torrent users will be able to see your IP address, which by itself is incredibly unsecure. But consider that you don’t always know if the file you’re downloading has been compromised. The integrity of files is easily compromised by hackers, who know how to slip code like viruses, Trojans, keyloggers, and other nefarious applications into Bit Torrent files to attack users. Even though prudent torrent users know to first scan downloaded files with antivirus software, they still aren’t perfect. If you really want to protect yourself from hackers that use P2P networks to facilitate their attacks, remember that an ounce of prevention is worth a pound of cure. Stay away from P2P networks. I’ve got three letters for you: V-P-N. In the information age, everyone – and I mean everyone – should use a VPN tunnel every time they connect to the Internet. With exception to websites that only provide HTTPS connections, your data is frequently sent in plain text. This makes it tremendously easy for ISPs, governmental agencies such as the NSA, and all kinds of hackers to capture and read your data. The NSA has made statements in the past that claimed they only wiretap communications that are one end domestic and one end foreign in an attempt to combat terrorism. However, it seems that they were capturing domestic data as well by harvesting information from Google, Microsoft, Yahoo, and other popular technology companies. Though there is little we can do to prevent a cloud service provider from mishandling information, we certainly have the power to make our data impossible to read while it is in transit through the Internet. Once your data is encrypted, it is impossible to read. But there are other benefits as well. 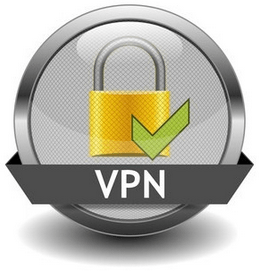 VPN tunnel provide anonymity by masking your IP address, making it nigh on impossible for websites and online services to run audits that trace back to your unique IP address. Privacy is a large concern these days, and VPN tunnels will protect your data and your identity. Use them as much as possible! If you’re online storage provider or VPN provider is based in the United States, you really have no way of knowing for sure if the government has coerced the service provider into letting them steal your information. Though most VPN providers have no-logging policies, the government still may force them to forfeit information regarding user activities. The PRISM program by the NSA left people all around the world distrusting US-based services, and for good reason. Most users don’t understand how to protect themselves from hackers, making it as easy as taking candy from a baby to steal personal information. Becoming a strong hacker means that you need to understand security, and the best ways to increase personal security and anonymity on the Internet include strong password creation, discretion downloading files from P2P networks, securing data with encryption, and using online services that are located outside the United States. If you fail to obey these basic principles, you make it that much easier to become hacked.